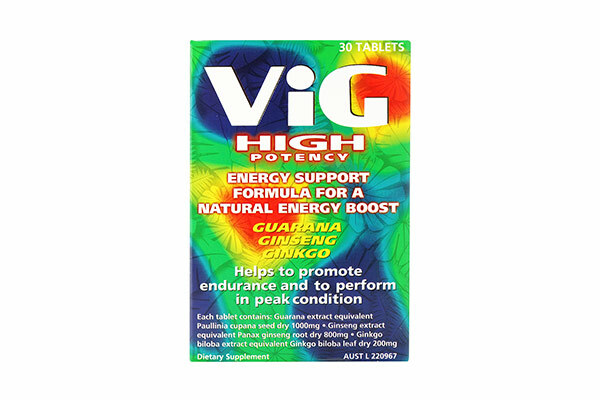 ViG High Potency tablets offer a combination of the ancient plant remedies: Guarana, Ginseng and Ginkgo Biloba. Contains not more than 40mg naturally occurring caffeine per tablet. Adults and children aged 12 years and over, take 1 tablet daily.